*This post was originally published by Fair Observer. Tariq Al-Shammari | During Barack Obama’s second term in office, the US witnessed significant changes in its National Security Strategy. As per this policy, Washington and London agreed to increase the military and security role of Britain in the Gulf, while America had the opportunity to consolidate its influence in the Asia Pacific. Many articles have been written on this issue by analysts at some of the world’s leading think tanks. Analyzing the changes that have occurred in British foreign policy, it is clear that — unlike its decision in the 1970s to withdraw from East of Suez — the United Kingdom has, in recent years, sought to step out of the shadows and play a more direct role in the Middle East. The implementation of this strategy has accelerated since Brexit. This change in Britain’s strategy began after 2010, when then-Foreign Secretary Philip Hammond officially delivered it to the foreign ministers of the Gulf Cooperation Council (GCC). Hammond called for the expansion of Britain’s military presence in the Gulf, emphasizing the need to set up bases in the Arabian Peninsula. British military agreements with Qatar, Bahrain, Saudi Arabia and the United Arab Emirates in recent years have been in line with this new foreign policy, which has its roots in UK’s agreement with the Pentagon under the Obama administration. This strategy led British Prime Minister Theresa May to emphasize the security threat posed by Iran at the GCC summit in December 2016. A joint statement called for a new strategic relationship between the UK and the Gulf bloc. On multiple occasions, former British Prime Minister Tony Blair made clear that the UK was to become a strategic and loyal partner of Washington in the Gulf. His part in formulating Saudi Arabia’s Vision 2030 and persuading Riyadh to put pressure on Iraqi Prime Minister Haider al-Abadi to reduce his affiliation to Iran indicate such an agreement between the UK and the US. As such, Obama trusted Britain and ushered London into his plans in the Gulf. 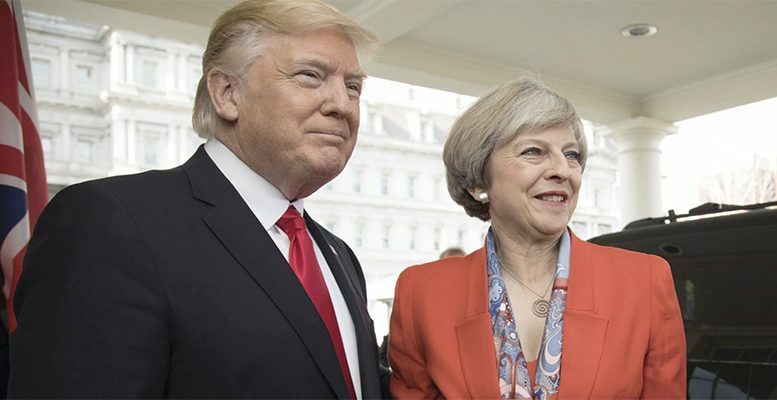 From the beginning of his presidency, however, Donald Trump has paid little attention to this strategic agreement with the UK. Instead, he has made close ties with Arab Gulf leaders part of his foreign policy. In just a few months, Trump has talked and met with senior Arab officials and heads of state a number of times, making preliminary agreements in financial, military and security fields. The several trips of Prime Minister May to the Gulf were — directly or indirectly — a warning to Washington to back off, which appears to have been deliberately ignored by Trump. The US president’s visit to the Gulf was a gross violation and disregard by the White House for Britain as a loyal and strategic partner. It seems Trump is set on claiming the available petrodollars for the US economy and, therefore, he chose to neglect the policy agreements made by the Obama administration. The Qatar crisis and London’s stance on it could be counted as the display of an iron fist by the UK in the face of Trump, demanding that he sort himself out and commit to his country’s international agreements. However, it seems Trump was not sleeping to be woken in this way. He is a cunning merchant who plans to use all the revenue from Saudi Arabia and the other Arab states for the US. He is clearly able to seize the shares of his European allies without hesitation. It seems that security crises and a possible military confrontation between Qatar and Saudi Arabia have no importance for the US — provided that the petrodollars are safe and secure.